There are not many common grounds in any relationship followed by an Aquarius and a Capricorn but they certainly have the differences that are worth admiring in each of them. There is a certainty in the behavior of a Capricorn but Aquarius can make things shocking or surprising, which varies from person to person. Appearance means everything to a Capricorn. They are quiet shy people and silent kind of people who often follow the crowd. A Capricorn sacrifices the love of their life for career advancement but they are very dearly attached to their family. Their determination is followed by outstanding patience. Capricorn can be very shallow and unwilling to be what they are, thinking it may destroy their climb on the social ladder. Capricorns are masterminds at masking their emotions and feelings. They are considered to be selfish — to some extent they are — but not kind of mean people rather Capricorns come across as very serious people. They cannot tolerate illogical or irrational thinking. Taking risks are highly forbidden and even their jokes have to have practicality to them. Aquarius is an oddball by nature. This is over looked by their eccentric personality. They are known for their ability to shock people. They usually do something when people least expect it. Aquarians are also very flexible and able to change into many forms. They are very intuitive and often scary psychic. They can easily become detached from the rest of the world, seeming to be very unreal and emotionless. An Aquarius can easily fall into the category of a manic depressive, caused by their dramatic mood swings. They can be viewed as insane and genius all in one conversation. But logically they are great people who know how to live their life to fullest and they can easily match up with people around to feel comfortable and admired. There’s a lot of mutual respect in this partnership, and both signs are intelligent. Sage Capricorn is wise enough to understand that Aquarius needs and desires a certain amount of freedom, and will be careful not to suffocate him or her. Aquarius, on the other hand, is bright enough to realise how far out of his or her comfort zone the Sage can be pushed, and will quickly learn to bring light and new experiences without overdoing it. This innate compromise is one of the reasons for such strong Aquarius and Capricorn compatibility. It’s certainly surprising how well these partners can learn to compromise, but that’s what love does. Astro compatibility works well here because Aquarius, as a fixed sign, does understand Capricorn’s love of stability, despite the Aquarius partner being so unpredictable. Meanwhile, Capricorn, as a cardinal sign, does “get” the Aquarian need to innovate and move ahead, despite being rather conventional him or herself. Aquarians are very determined and full of purpose but they do not take things as seriously as the Capricorn. Aquarius are more extreme in the manner that at times they seem to enjoy breaking the rules. The Capricorns often find themselves shocked by the things the Aquarius does. In one way the Capricorn and the Aquarius are alike. The Aquarius makes judgments based on sound fact and solid principles. The Capricorn respects this about the Aquarius. The Aquarius is typically blessed to always know the truth and many others do not understand this. Astrologically these two are not the best of matches. Their relationship is much better if they are able to appreciate each other. More than likely it depends on their personal chart and horoscope. 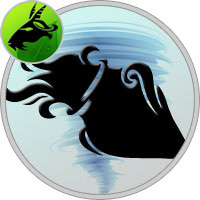 The combination of an Aquarius and Capricorn causes the Aquarius to become more sensible and may be the Capricorn finds some form of meaning in life from the Aquarius. Capricorns are typically too busy trying to accomplish their goals that they often miss out on the truth of the matter. They avoid all and any ways of foolish thinking. An Aquarius is typically doing what they want. A lot of times the Aquarius does seems foolish to Capricorn, but there are often original and genius and that’s what Capricorn needs to remember. The Capricorn is very critical of the Aquarius. They disregard the theories of an Aquarius as foolish delusion dreams. In all actuality everything the Aquarius does is based on fact. Aquarius actually wins the brains in this duo. The Capricorn is just better mannered. Together they can always create miracles in all kinds of relationship if they decide to overcome their differences. Aquarius and Capricorn can prove to be great business associates as the genius logic and creativity of Aquarius is unmatched while stability and money mindedness of Capricorn makes the backbone of their ventures. They may not be very appreciative friends and colleagues as Capricorn may always find Aquarius weird. But in any family relationship either of sibling or parents and children they can always share a lot and complement each other. Capricorn parents can teach discipline to their Aquarius children while Aquarius parents can show their Capricorn children the way to fly high in life. Same goes for siblings as well. In love relationship, it is a better match with Capricorn man and Aquarius woman rather than vice-versa. The problem that they face together is that they have very different approaches and it is hard for each of them to consider other person’s way to life. Aquarius thinks so far ahead into the future that it may take years for their thoughts to become a reality. This is why they are viewed as average thinkers who are only capable of dreaming by the Capricorn. While Capricorn is so practical and believes in tried and tested methods that Aquarius finds it boring to be a part of Capricorn’s life. Because of their totally different ways of thinking there are often problems of communication between the Aquarius and Capricorn. Marriage doesn’t take too long to happen when an Aquarius man falls for a Capricorn girl. He gets mesmerized by her aura and charm. She wins his heart with her intelligence and non-demanding behavior. And she finds a great friend and companion in him who doesn’t bind her but is always there to protect her from all problems. He finds his soul mate in her as she doesn’t complain or ask for anything rather she only gives unconditionally in this relationship which makes her best of all. She completely trusts her man and is always there to offer her helping hand in every venture of his life. She strengthens this relationship with her faith in her man. She is also very protective about her man which is just a way of showing her love. He teaches her to be more relaxed and enjoy life beyond control. He adds new colors to her life which was always so certain and boring. She also makes him understand the importance of a stable relationship in life. They both are able to create a beautifully balanced association of love. In this marriage, both the partners respect each other and are very dedicated partners. Once they learn to accept their differences they way they embrace their similarities, they are able to create the best marriage.